Looks like we have another interesting beer coming out from Rivertown! 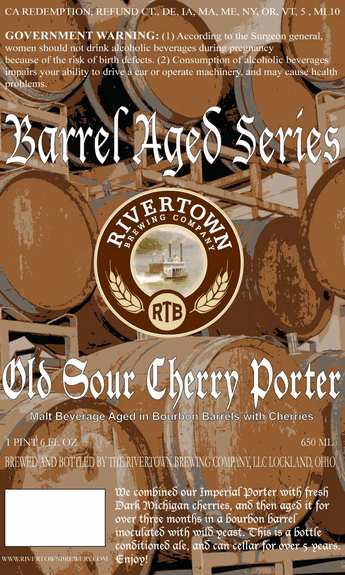 The Rivertown Old Sour Cherry Porter (which looks like will be released in 650ml bottles) is part of their Barrel Aged Series. Previous Previous post: Moerlein Lager House, I love you… Not? Next Next post: Molly Wellmann’s Old Kentucky Bourbon Bar opening May 5!